Chester have signed forward Matty Hughes from Chorley on a one year contract. The player has previously had two loan spells with the Blues when he scored four goals in 26 appearances during the 2014/15 season. New managers Bernard Morley and Anthony Johnson have also secured the services of midfielder Gary Roberts for another season and young forward Nathan Brown. Tom Crawford has joined Notts County for an undisclosed fee. The midfielder signed for The Magpies on his 19th birthday after an ourstanding season where he beoke into the first team making 17 appearances and scoring one goal. His efforts were rewarded with an England C call-up at the end of the season. 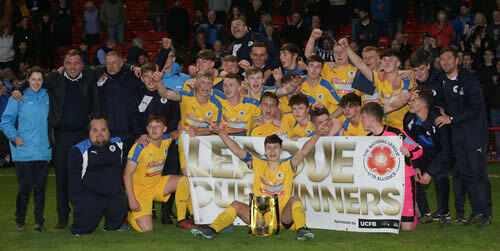 The Youth team beat FC Halifax Town 3-0 in the final of the U19 National League Alliance Cup at Walsall FC to complete the league and cup double in front of a crowd of 415 including over 300 Chester supporters. Lloyd Marsh-Hughes gave Chester the lead on 16 minutes and advantage they held until Cain Noble added a second from the penalty spot on 60minutes. The victory was wrapped up in the final minute with a fine breakaway goal from Iwan Murray an effort his tireless running all night deserved. Chester: Gale, Thomson, D.Jones, Wallis, Dobson, Downes, Hellawell, Noble, Marsh-Hughes, Murray, Hayes (Hardman 90). Subs not used: Crilly, Cottrell, S.Jones, Kendrick. 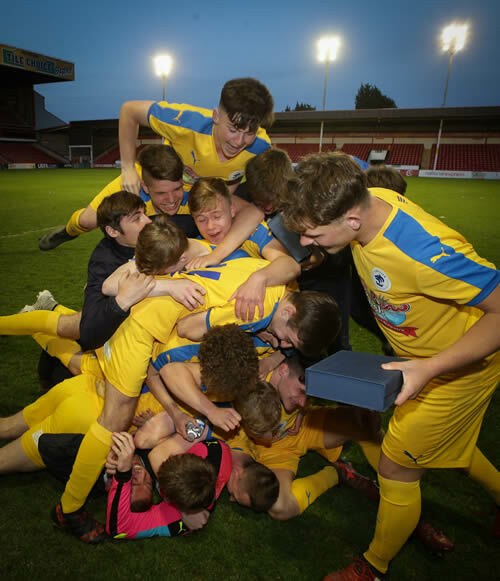 The Youth Team will be looking to complete a remarkable hat-trick on Sunday when they play Heswall at home in the North West Youth Alliance Open Cup Final. Admission is £5 for adults and £2 for children. All money taken on the gate will go to Chester FC. Kick off is 14.30hrs. The Youth team play FC Halifax Town in the final of the U19 National League Alliance Cup tonight at Walsall FC. The match has a 19.00hrs kick-off. Admission is £2 for adults, children under 16 are admitted free. Chester have appointed ex-Salford City duo Bernard Morley and Anthony Johnson as their new management team on two year contracts, the pair guided Salford to the Conference North title last month. The Blues had been in talks earlier in the month with former Leeds United manager Neal Redfearn but both parties couldn’t agree financial terms. Morley and Johnson won promotion three times in four years with the Ammies, their journey documented in the TV documentary ‘Class of 92’. Prior to the Salford job both won promotion with Ramsbottom United. Local businessman Stuart Murphy has expressed an interest in donating a susbtantial amount of money into Chester FC. Murphy has sponsored the club before when his company Exacta Plc sponsored the stadium for five years from 2010. It is hoped to tie-up the deal before the end of the month. Defender Ryan Astles has turned down a new deal with Chester and joined fellow Conference North side Southport. The 24-year-old made 112+1 appearances for Chester scoring seven goals since signing in January 2016 from Northwich Victoria. 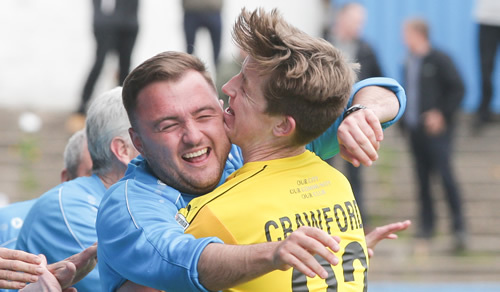 Chester ended their dismal season with a 2-1 victory at relegation threatened Barrow. A young Chester side took a first half lead through Jordan Archer on 20 minutes before being pegged back ten minutes into the second period through a 25-yard effort from Jordan White that gave Andy Firth no chance on goal. However the impressive Tom Crawford popped up to score his first goal for the club to seal the three points for the Blues. Woking’s late home defeat to Dover sank the Surrey side and meant the Bluebirds avoided the drop.